A country full of endless possibilities for travelling and never-ending splendors and beauties! A mysterious part of the world that was unreachable and unspoken for so many years behind the Iron Curtain and its almighty guards. 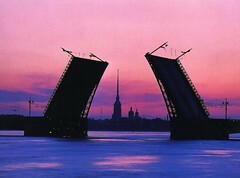 Since the collapse of the oppressive Soviet government and the communism in 1991, Russia has opened its doors to everyone!Nowadays, it's a welcoming place eager to share its unique heritage with those who come to visit. 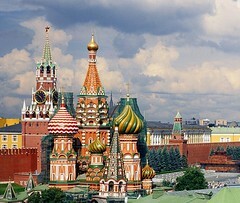 Orthodox Russia with a teeny-tiny mix of other religion beliefs shows its spiritualism and importance in every single stone used to build worldwide famous breathtaking beauties - the golden-domed churches and cathedrals that stand as testaments and markers of the historical events. Cultural Russia will show you the unpredictable scene full of excitement and astonishment to satisfy every picky and most distinguished taste.Among the best world famous art institutions are surely The Bolshoy Theatre and The State Tretyakov Gallery in Moscow and the Mariinsky Theatre and the Hermitage in glamorous St Petersburg.So do not miss to catch a show at The Bolshoy Theatre before rushing to dine at the best restaurants in Moscow and wander the whole day away in the gold-covered walls of The Hermitage admiring every single masterpiece and still trying to make it on time to your date! Do not know where to start? 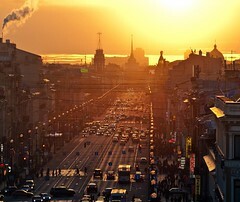 Use our help by choosing packages options that will give you some basic understanding of what a vacation to Russia can be like.We will handle everything you need - visa support, accommodation, guided tours, transport, tickets and everything else on your list to make your trip special and unforgettable! Choose one of our packages or customize your own! Mix & match is welcome!